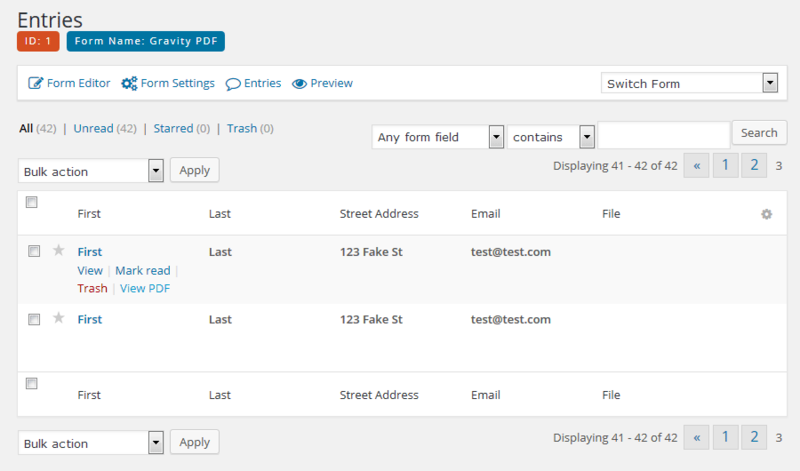 Once you’ve successfully configured a PDF on one of your Gravity Forms you’ll be able to view and download the PDFs from the Gravity Forms entries page in your admin area. If the list is empty you’ll need to fill out and submit your form first. When viewing the entries list a “View PDF/View PDFs” or “Download PDF/Download PDFs” link will be added to each entry’s quick toolbar – which gets displayed when you hover over the first cell of any entry. The View/Download text you’ll see depends on your global Entry View setting. 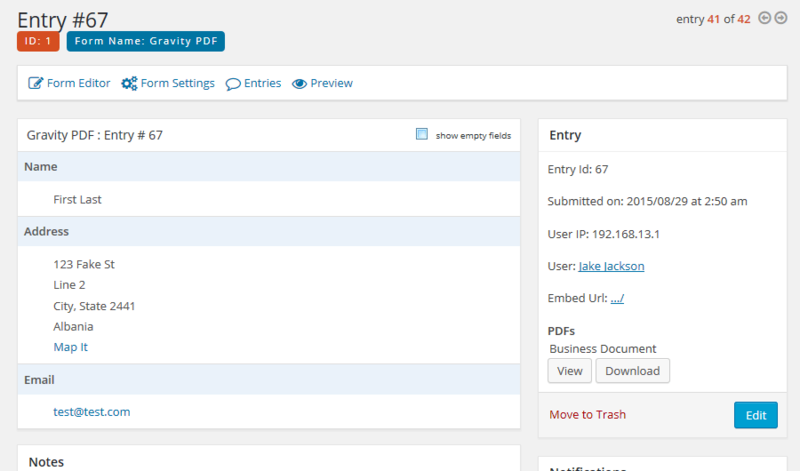 You can also view and download your PDFs from the entry details page in your admin area. A new PDF heading will be included under the right Entry sidebar widget and allow you to view and download any configured PDFs.